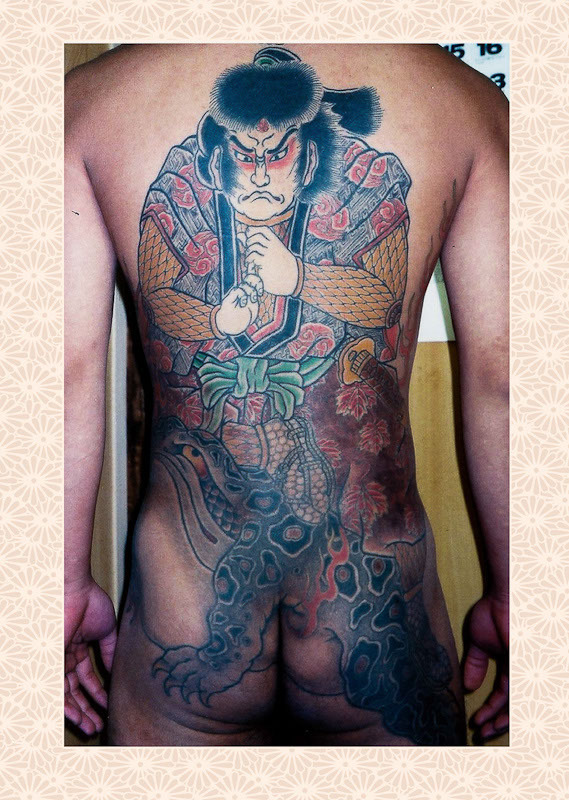 – 150 + photographs of Nakamura Toshikazu’s Irezumi works. 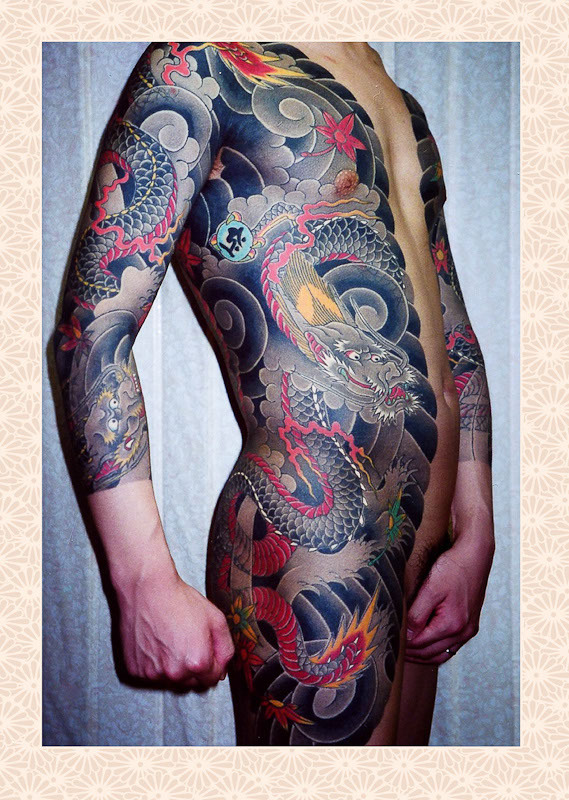 – All photographs of Irezumi in full colour. 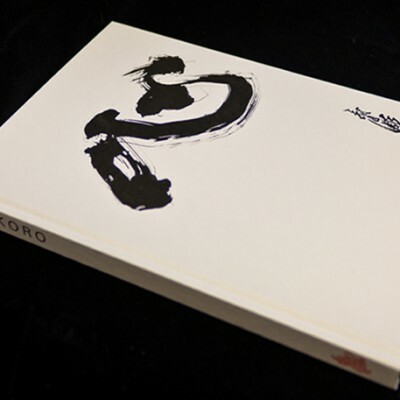 – Hardcover with embossed title. 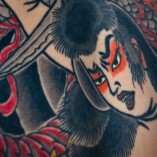 As with our previous Irezumi publications, Kokoro and Ryushin, our goals are to present an important work and of contemporary traditional Japanese tattoo art. 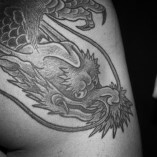 This means that we maintain full and personal control throughout the entire production – from photography to design. 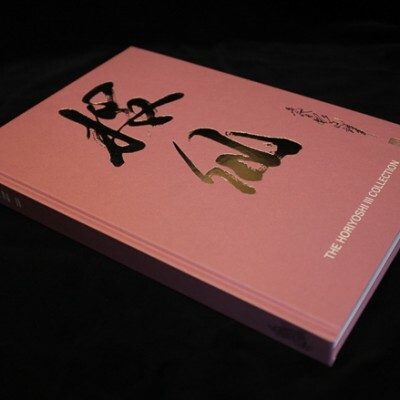 We want to create books for the collector and the curious alike. 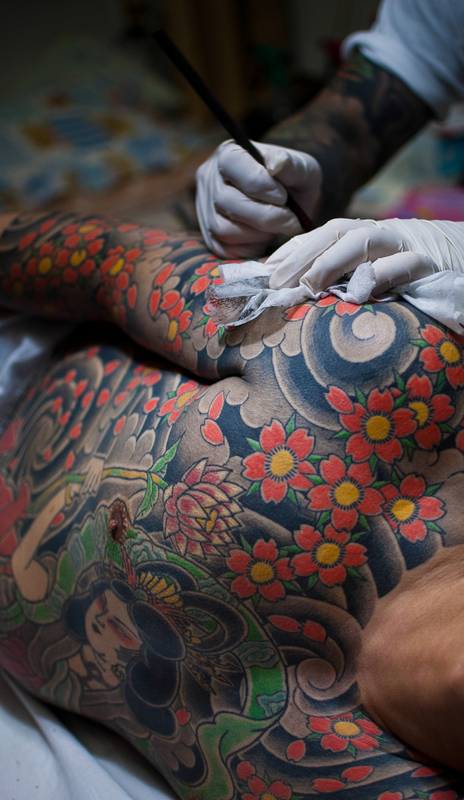 Master Nakamura Toshikazu works in Kyushu, one of the southern of Japan’s main islands. 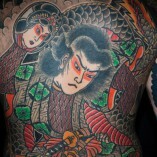 His work is simple, bold and powerful, and it is all created entirely using traditional Japanese hand tattooing. 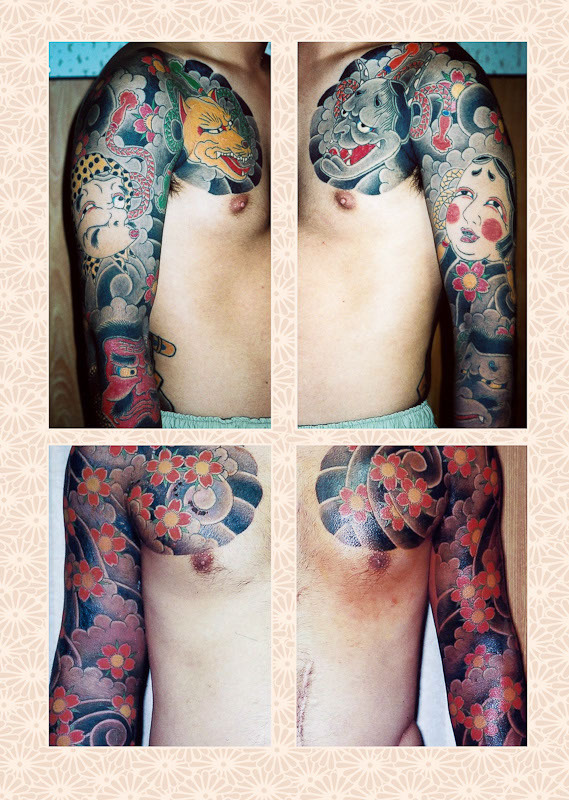 Linework, shading and coloring are all done using dentouwaza (jap. 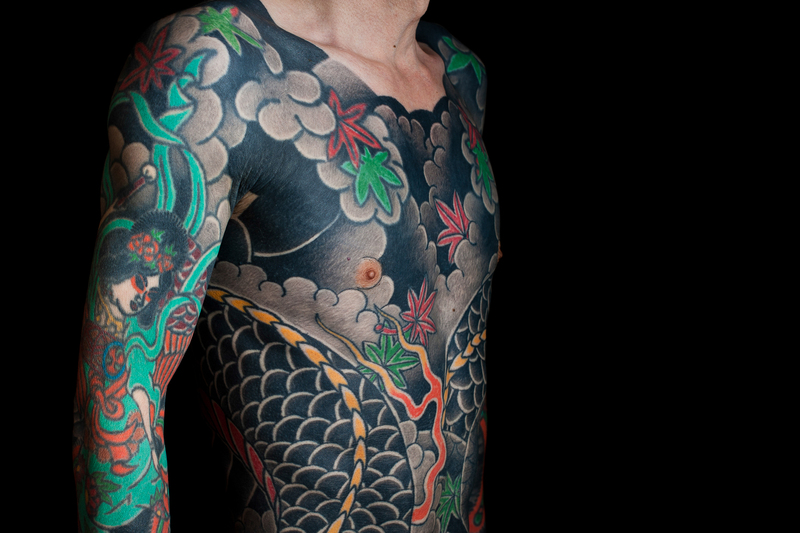 hand technique), yet Nakamura Toshikazu is surprisingly productive. 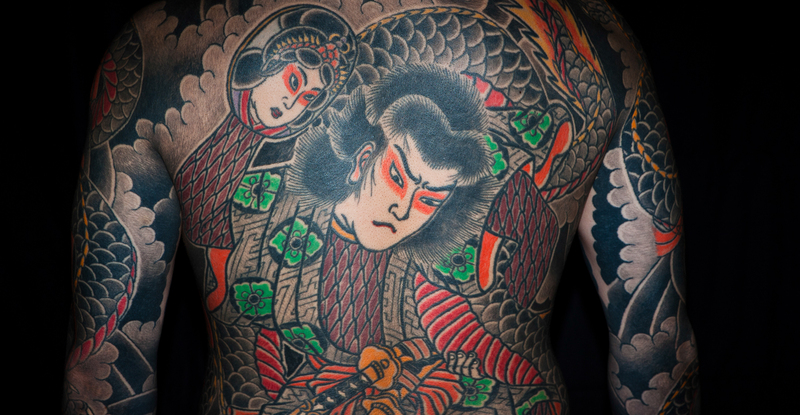 The full body tattoos and backpieces presented to the viewer of the photographs in DENTOWAZA are but a small part of his body of work. 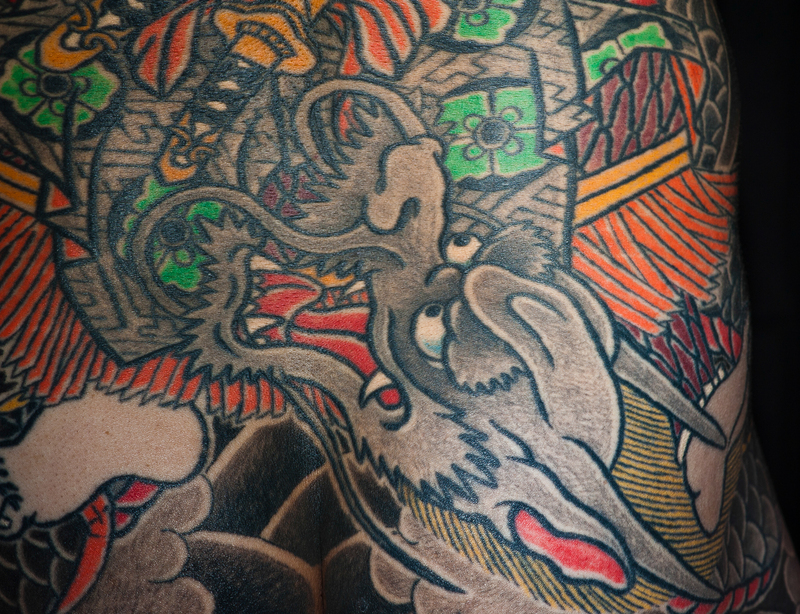 Nakamura Toshikazu is a warm and open person and we have had the pleasure to spend many hours with him, talking about his work and the way he views the tradition of Irezumi. These hours have led us towards the creation of this book. 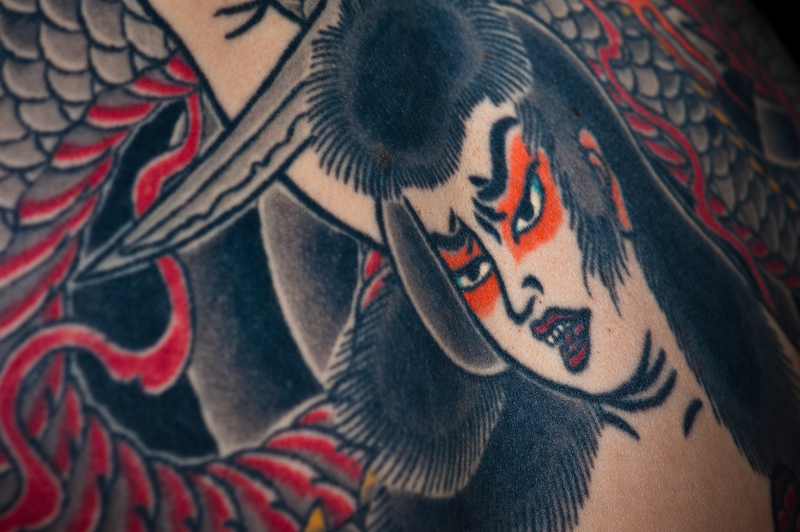 It’s the third book in an ongoing series of presenting Irezumi the way we discover it as we delve deeper into its world of tradition, myth and beautiful iconography. 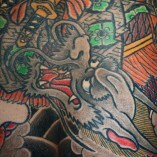 We first went to visit Nakamura Toshikazu on the recommendation of master H III of Yokohama. 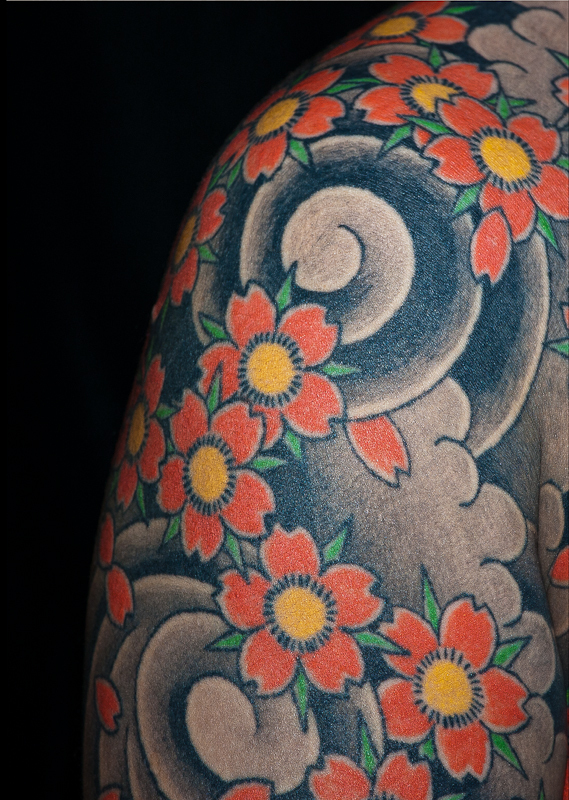 This was in the late summer of 2009, as we were photographing for Kokoro. Our first meeting was on a humid and incredibly warm night in the beginning of September, and we were immediately charmed by the work presented to us. 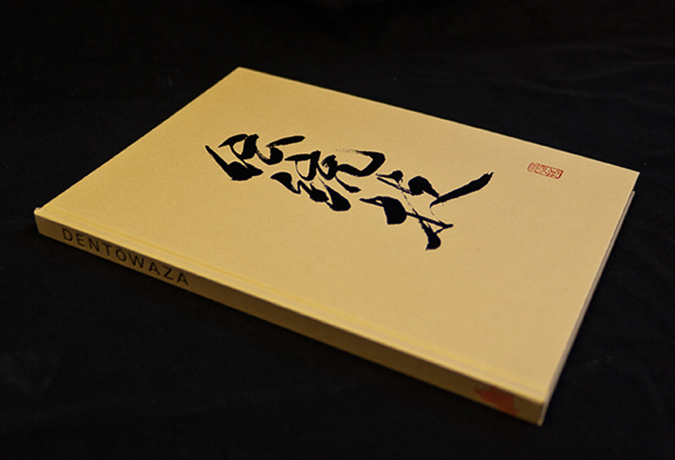 So much in fact, that we decided in the following year that we had to make a book showcasing Nakamura Toshikazu’s distinct style and design. 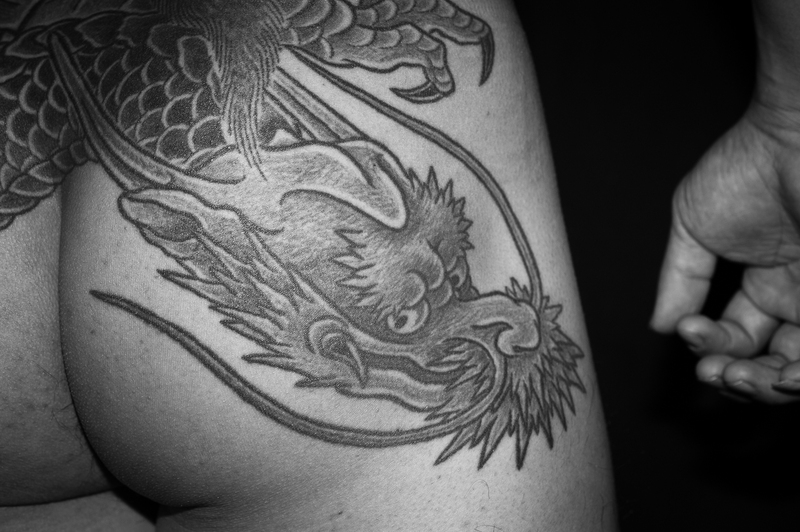 We visited again in the autumn of 2010 in order to capture photographs of his clients, as well as to have further conversations of everything Irezumi.